← Curiosity update: Science is baaaack! Pitted cone crosscut by a wrinkle ridge in Aurorae Chaos. These are possible mud or igneous volcanoes. 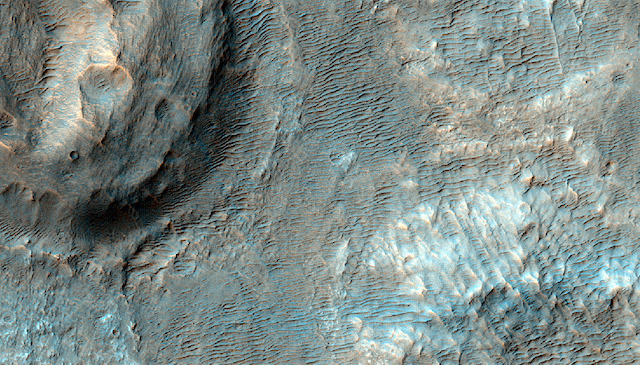 This entry was posted in Reports and tagged Aurorae Chaos, Beautiful Mars, High Resolution Imaging Science Experiment, HiRISE, Mars Reconnaissance Orbiter, MRO, NASA, pitted cones, pitted mounds, pseudocones, University of Arizona. Bookmark the permalink.